It should be no surprise to anyone that my tastes in country music run very traditional. While much of the music of the “New Traditionalists” movement of 1986-1999 remains available, as it should since it was digitally recorded, the music of the “Old Traditionalists (roughly 1925-1975) is another story. When radio converted to digital starting in 1986, most radio stations, particularly FM stations, refused to play anything that was not on compact disc. As a result, a country oldie to these stations meant Alabama, Crystal Gayle, Ronnie Milsap and Kenny Rogers (artists whose back catalogue made it to digital formats) while the likes of such superstars as Charley Pride, Sonny James, Ray Price, Carl Smith, Ernest Tubb and Webb Pierce were lost to posterity. Over time, the older country music began to be available, although often the availability was that of a four plus discs sets from Bear Family that was decidedly overkill for all but the most diehard fans. I am not knocking Bear, which in recent years has begun to issue some single disc collections. The Bear sets are as good as humanly imaginable, terrific sound, fabulous books and many of the discs have 85-87 minutes of music. They are great, but they run $22-$25 per disc. Eventually more reissue labels emerged, mostly in Europe where the copyright laws had copyright protection lapse after fifty years. This changed recently to 70 years resulting in slowdown in reissues. I think recordings made in 1963 or later have the new 70 year copyright protection. American record labels started to mine their back catalogues after 1991, but generally only for their biggest stars. A number of decent box sets have been issued, but again, only on the biggest stars. Enough with my complaining – let’s start with a couple of relatively minor labels, in the first of a new series. Kapp was a minor label that was eventually purchased by MCA. The biggest star on the label was pop balladeer Jack Jones, truly a fine singer. In the world of country music it was more of a launching pad for new artists and a resting place for over-the-hill singers. Bobby Helms (“My Special Angel” & “Fraulein“) was on the label after his pop success waned. One could put together a nice CD of his Kapp recordings. Mel Tillis released nine albums (plus two hit collections) while on Kapp. It’s not his best material but there were some classic songs (“Ruby Don’t Take Your Love To Town” / “Something Special” / “All Right (I’ll Sign The Papers)” / “Who’s Julie” / “Goodbye Wheeling” / “Life Turned Her That Way” / “Stateside“/ “Heart Over Mind“) that were as good as anything he ever recorded elsewhere, A nice set with about sixty songs would suffice. Ernest Tubb was sure that Cal Smith would be a star someday. Someday was about six years later. Meanwhile Kapp released seven albums plus a hits collection on Cal. One of Cal’s Kapp hits (“Drinking Champagne” would be a big hit for George Strait many years later. After a long wait, a decent collection of Cal’s MCA/Decca hit eventually emerged but none of his Kapp classics are available. Cal had some really good songs including “Drinking Champagne”, “You Can’t Housebreak A Tomcat“, “Destination Atlanta G.A“, and “Heaven Is Just A Touch Away“. Foreign labels have done a good job of getting Jerry Lee Lewis and Tom T. Hall back into circulation, but Dave Dudley and Roy Drusky have been badly neglected. Mercury had an additional label, Smash, but artists occasionally moved from Smash to Mercury in midstream. Mercury released eighteen albums plus three hits collections on Dave Dudley and all we have available is one stinking CD collection with twelve songs on it, two of the tracks being remakes of “Six Days On The Road” and “Cowboy Boots”. Dave had thirty-one chart hits for Mercury. C’mon, if nothing else a nice two CD set with the thirty-one chart hits plus some key album cuts. The King of The Truckers deserves no less – so beloved by truck drivers was Dave that the Teamsters Union gave Dave a gold union membership card. Roy Drusky was a smooth voiced balladeer who had over forty chart records, eight with Decca and thirty two with Mercury. Same comment applies to Ray as applies to Dave Dudley – a nice two disc set is needed. 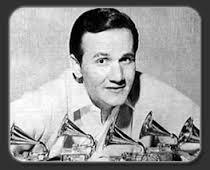 Roger Miller may have been the most talented performer to ever record in the country music genre. Roger barely even need a guitar to keep folks entertained. Back in 1991 & 1992 Polygram (the label that purchased Mercury ) issued a pair of two twenty song CDs, one featuring songs Roger wrote that were hits for other artist and the other featuring Roger’s hits. Eventually a modest boxed set was issued, but those are long out of print. Although they were good efforts, Roger’s albums deserve to be reissued intact. During the late 1960s – early 1970s, Plantation became kind of an old folks’ home for country artists on the way down. Many a fading star re-recorded their greatest hits for label owner Shelby Singleton. For many of these older artists, it was the only way for them to keep their music available for their fans. Webb Pierce, Jimmie Davis, Jimmy C. Newman, Hank Locklin, Charlie Walker, Kitty Wells, Dave Dudley and Roy Drusky were among the artists that had twenty song cassettes issued, and for some artists, there was some new material recorded. I don’t think Plantation has much more than thirty or so songs recorded for these veteran artists (except Webb Pierce), so they should just take everything they have on a given artist and issue a CD. True, the original recording were better but all of these recordings were at least decent. I do not pretend that this is an exhaustive list as there are many more artists whose artistry justifies more than is currently available. I noticed that Country Universe recently posted a Wish List segment on their Daily Top Five Feature. This series was not inspired by their article as I had this nearly completed before they posted their feature. RIP Cal Smith, who died recently. To catch up on his career, reread Paul Dennis’s Country Heritage overview from earlier this year. When the recently closed Florida Sunshine Opry (Eustis, FL) booked its first “name” (non-local) act back in 1999, the act they chose was Cal Smith. No wonder, since Cal is an excellent singer, musician, storyteller and showman. Born Calvin Grant Shofner on April 7, 1932, in Gans, Oklahoma (but raised in Oakland California), Smith began his music career performing in San Francisco at the age of fifteen, but was not able to sustain himself professionally as a singer. Accordingly, he continued working at various day jobs–which included stints driving trucks and bronco busting – all the while working on and off as a musician. After his discharge from the military in the mid 1950s, Smith played in a San Francisco area band while awaiting his opportunity. His big break came in 1961, when the legendary Ernest Tubb heard Smith perform and hired him to join Tubb’s equally legendary Texas Troubadours. It was during this period that “Shofner” started using the stage name “Cal Smith”, although the name did not become firmly affixed until Tubb helped the singer get his own record deal with Kapp in 1966. The Texas Troubadours of the 1960s may have been the greatest small country band ever assembled. Consisting of Bud Charlton on steel guitar, Jack Greene on drums, Jack Drake (brother of legendary steel guitarist Pete Drake) on bass, Leon Rhodes on lead guitar and Smith on rhythm guitar, the Texas Troubadours could play fast or slow, hot or romantic, and could swing with the best of them. In Jack Greene and Cal Smith, the band boasted two superior vocalists, both of whom would have successful solo careers. The Texas Troubadours cut three LPs of their own from 1964 to 1966, which exposed both Greene and Smith to wider audiences, with each taking care of two or more vocals per album. While still a Texas Troubadour, Smith starting issuing records on Kapp, having chart success immediately, although the big hits were slow arriving. The first single released, “I’ll Just Go Home,” didn’t chart but made some impact on the public. The next single, “The Only Thing I Want”, hit #58 on Billboard and #41 on Cash Box, and When “Drinking Champagne” cracked the Billboard Top 40 in 1968, Smith left Tubb to start a solo career. During his several years with Kapp he had eight more moderate hits, including “Heaven Is Just a Touch Away” which hit #47 on Billboard and “It Takes Me All Night Long” which reached #12 on Cash Box, although it only peaked at #51 on Billboard. Upon completion of his Kapp contract, Smith signed with his former boss’s label, Decca, in 1971. The first single, “That’s What It’s Like To Be Lonesome,” only reached #58 on Billboard (#29 on Cash Box), but after that, things started happening quickly for Smith with a three year period of top twenty hits starting with “I’ve Found Someone Of My Own” (#4) in summer of 1972. After a misfire with “For My Baby,” Smith then hit the top spot with “The Lord Knows I’m Drinking,” a Bill Anderson-penned song that rings as true today as it did back then. After another misfire came Smith’s most famous song, “Country Bumpkin,” a #1 record and the CMA Song of the Year for 1974. The follow-up to that smash hit was “Between Lust and Watching TV,” which stalled out at #11, followed by Smith’s last Billboard top ten, “It’s Time To Pay The Fiddler,” which reached the top of the pile. After that, Smith continued to chart regularly for the next four years, logging increasingly lower chart positions with his hard country sound, as only “Jason’s Farm,” “She Talked A Lot About Texas,” and “I Just Came Home To Count The Memories,” cracked the Billboard top twenty – although “Jason’s Farm” clocked in at #7 for two weeks on Cash Box. After 1979 the hits stopped for Cal Smith, with the exception of a pair of lower singles on independent labels in 1982 and 1986, neither getting anywhere close to the top fifty. For part seven of this series, as always, just some songs I liked, one song per artist, not necessarily the biggest hit, (although I feel free to comment on other songs by the artist). Female answer to a rather lame Paul Anka hit with the answer song being better (or at least more believable) than the original. Ms. Sharpe originally was from Orlando, FL, but seemingly has disappeared from view. This song reached #10 on Cashbox, her only Top 10 hit (#11 Billboard). A few years later she had one more top twenty hit with “A Little At A Time”. For a guy whose only two charting records charted at 88 and 80, and who can’t sing a lick, Billy Joe Shaver has had a heck of a career as a recording artist, issuing several acclaimed albums. Of course, his main claim to fame is as a songwriter. Jean took this Bill Anderson composition to #1 (Cashbox) reviving a career that Capitol had abandoned. Jean was elected to the Country Music Hall of Fame in 2001, an honor two decades overdue. T.G. kicked off his career as a singer under the T.G. Sheppard name (real name Bill Browder, and recorded also as Brian Stacey) with consecutive #1s. T.G. would have fourteen #1 singles between 1975 and ’86, along with three more that reached #2 . He worked for Elvis at one point, before kicking off his solo career. This song first saw the light of day when Johnny Cash recorded it for the Johnny Cash at Folsom Prison album in 1968. At the time Glen Sherley was a prisoner at Folsom. This was his only chart record, reaching #63. In addition to this song, Sherley had several other songs he’d written recorded, most notably Eddy Arnold’s recording of “Portrait of My Woman.” Johnny Cash helped get Glen Sherley released from prison, and even had him as part of his road show for a while. Unfortunately, Glen Sherley was unable to adapt to life outside of prison, and committed suicide in 1978. An amusing tune, Shylo recorded for Columbia during the years 1976-1979. This single charted at #75. Columbia would release eight charting singles but none went higher than #63. There’d be no truck drivers if it wasn’t for us trucks. Red’s biggest hit, in fact his only top 30 record, reaching #1 Cashbox/#4 Billboard. 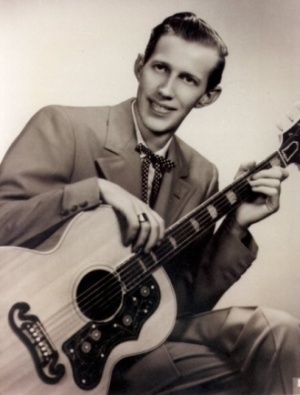 Simpson was from Bakersfield and co-wrote a number of songs with Buck Owens, many of which Buck recorded, including “Sam’s Place” and “Kansas City Song.” Junior Brown recently recorded Red’s “Highway Patrol.” Curiously enough, “I’m A Truck” was not written by Red Simpson, but came from the pen of Bob Stanton, who worked as a mailman and sent Red the song. Great debut recording – it only reached #68 but unknown to Ms. Sledd, her record label was created as a tax write off, so that there was no promotional push for anyone by the label. The next single “Chip Chip” reached #33 but from there it was all downhill. Patsy was part of the George Jones-Tammy Wynette show for a few years. Bill Anderson wrote it and Cal Smith took it to #1 on March 3, 1973. Cal only had four Top 10 records, but three of them went to #1. His biggest chart hit was “It’s Time To Pay The Fiddler,” but this song and “Country Bumpkin” are probably the best remembered songs for the former member of Ernest Tubb’s Texas Troubadours. Cal actually changed a few of the words from what Bill had written, probably a change for the better. Disclaimer: Expect no objectivity at all from me with this article. Along with Webb Pierce and Merle Haggard, Ernest Tubb is one of my all-time favorite country artists. Yes, I know he started out most songs a quarter tone flat and worked his way flatter from there, and yes, I know that 80% of The 9513′s readership has technically better singing voices than Tubb had. But no one in country music (and few outside the genre, Al Jolson, Louis Armstrong, Louis Prima, Phil Harris among them) was ever able to infuse as much warmth and personality into his singing. Ernest Tubb, known as E.T. to nearly everyone, was born in 1914 in Crisp, Texas, a town in Ellis County which is no longer even a flyspeck on the map. Tubb grew up working on farms and used his free time learning to play guitar, sing and yodel. As with many who grew up in the rural southeast and southwest, E.T. grew up listening to the music of the legendary “Singing Brakeman” Jimmie Rodgers (1897-1933), and like such contemporaries as Gene Autry, Jimmie Davis , Bill Monroe, Jimmie Skinner and Hank Snow, E.T. 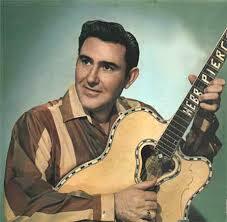 started his career sounding like a Jimmie Rodgers clone. In Ernest’s case, he eventually met Jimmie’s widow, Carrie Rodgers, who was sufficiently impressed with Tubb to sponsor his career and give him one of Jimmie’s guitars to play. Tubb played clubs around Texas and the southwest and, with Mrs. Rodgers’ help, secured a record deal with RCA. As there had already been one Jimmie Rodgers, Tubb’s sound-alike records sold only modestly. Good luck can take many forms. In Tubb’s case, his good luck came in the form of illness. In 1939 E.T. suffered a throat infection that necessitated a tonsillectomy, robbing him of his ability to yodel and thereby forcing him to develop a style of his own. Moving to Decca Records in 1940, Tubb continued to record. Nothing happened initially, but his sixth release–a self-penned number titled “Walking the Floor Over You”–turned him into a star. The song was released in 1941, before the advent of Billboard’s country music charts. It did, however, appear on the pop charts, selling over a million records in the process. The song was covered by such luminaries as Bing Crosby and became Tubb’s signature song. Over the years the song has been recorded hundreds of times with artists including Pat Boone, Hank Thompson, Patsy Cline, Asleep at the Wheel and Glen Campbell being among the more notable. A few years ago, the venerable Ralph Stanley issued an album titled A Short Life of Trouble: Songs of Grayson and Whitter. Neither Grayson nor Whitter, a musical partnership of the late 1920s, lived to be fifty years old. Beyond that I don’t know much about the duo, but the title certainly would apply to the life of Gary Stewart. Gary Stewart was a hard rocking, hard drinking artist who arrived at the wrong time and in the wrong place. Often described as “too country for rock radio and too rock for country radio”, Gary simply arrived on the market at the wrong time for his rocking brand of hard-core honky-tonk music to achieve general acceptance, for his music was neither outlaw nor countrypolitan, the two dominant strains of country music during the 1970s. Gary Stewart was born in Kentucky, the son of a coal miner who suffered a disabling injury when Gary was a teenager. As a result Gary’s family relocated to Fort Pierce, Florida, where Gary learned to play guitar and piano and started writing songs. Playing the clubs at night, while working a full-time job in an airplane factory, Gary had the good fortune to meet Mel Tillis. Mel encouraged Gary to travel to Nashville to pitch his songs. While early recording efforts for minor labels failed to interest radio, Gary achieved some success pitching songs to other artists. Among the early efforts were “Poor Red Georgia Dirt”, a 1965 hit for Stonewall Jackson and “Sweet Thang and Cisco” a top ten record for Nat Stuckey in 1969 . Other artists also recorded his songs, most notably Billy Walker (“She Goes Walking Through My Mind,” “Traces of a Woman,” “It’s Time to Love Her”) and Cal Smith (“You Can’t Housebreak a Tomcat”, “It Takes Me All Night Long”). In 1968 Gary was signed by Kapp Records where he recorded several unsuccessful singles. Disheartened, Gary headed back to Fort Pierce, again playing the skull orchards and juke joints.